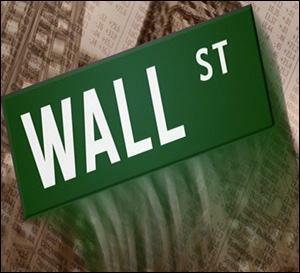 When there is an epic financial crash in the U.S. that collapses century old Wall Street institutions and brings about the greatest economic collapse since the Great Depression, one would think that the root causes would be chiseled in stone by now. But when it comes to the 2008 crash, expensive corporate media real estate is happy to allow bogus theories to go unchallenged by editors. What is happening ever so subtly over time is that the unprecedented greed, corruption and unrestrained manufacture of fraudulent securities by iconic brands on Wall Street that actually caused the crash are getting a gentle rewrite. The insidious danger of this is that Wall Street is never reformed or adequately regulated – that it remains a skulking financial monster with its unseen tentacles wrapped tightly around every economic artery of American life, retaining its ever present strangulation potential. Three days earlier, on August 7 of this year, Jim Puzzanghera of the Los Angeles Times stated in print that “The 2008 financial crisis was triggered by the failure of Lehman Bros” which filed for bankruptcy on September 15, 2008. The factual reality is that the financial crisis certainly did not start with money market funds nor did it start with the 2008 failure of Lehman Brothers. As a mountain of documents obtained by the Financial Crisis Inquiry Commission (FCIC) and the General Accountability Office (GAO) prove beyond question, the financial crisis was well underway in the spring of 2007. In February 2007, HSBC, one of the largest subprime lenders in the U.S. at the time, announced that it was increasing its provision for losses by a whopping $1.8 billion. The next month, New Century, which ran a close second to HSBC in subprime loans, said in an SEC filing that federal investigators were “conducting a criminal inquiry under the federal securities laws in connection with trading in the company’s securities, as well as accounting errors regarding the company’s allowance for repurchase losses.” The following month, April of 2007, New Century filed bankruptcy. Two months later, June 2007, two of Bear Stearns’ multi-billion dollar hedge funds were teetering. Bear conceded to counterparties that it lacked the cash to meet the margin calls on the funds and asked for a reprieve. None came. On July 31, 2007, both funds filed for bankruptcy. By July 2007, the credibility of the pay-to-rate model of the U.S. rating agencies was collapsing. The tens of billions of dollars of structured subprime debt that had been given the preposterous rating of AAA, began its descent to junk bond status as the rating agencies began their downgrades. All of this was occurring a full year before Lehman Brothers filed bankruptcy. “Citigroup was tapping six Fed programs at once. Its total borrowings amounted to more than twice the federal Department of Education’s 2011budget. The most tragic part of this story is that the U.S. Congress passed the Dodd-Frank financial reform legislation in 2010 without an in-depth understanding of the severity of the crisis, the trillions of dollars in backroom bailouts by the Fed, and without an appreciation of the dangers that Wall Street continued to pose to the financial system. Details of the Fed’s secret loans were not revealed until 2011, following a lengthy court battle waged by the Fed.